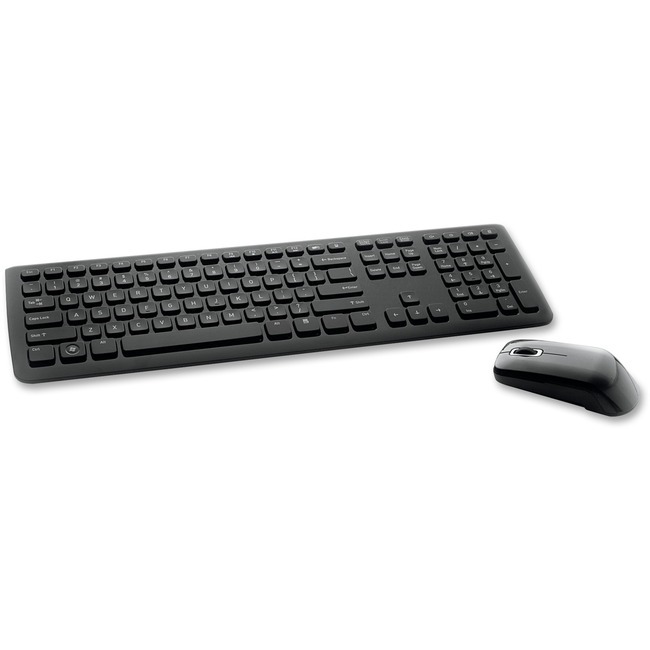 Wireless keyboard and mouse offer 2.4 Ghz wireless communication for no delays in what you type and what you see on-screen and no cord clutter. Ultra-slim keyboard features low-profile keys and a media console that allows you to control your favorite tunes directly from the keyboard. Quiet soft-touch keys provide a crisp, responsive feel when typing. Set includes keyboard, mouse, receiver, two AA batteries, two AAA batteries, software CD and quick start guide. Keyboard and mouse are compatible with USB 2.0, USB 1.1 ports, Windows XP, 2000 and Vista.